Nightingale Removals in Bath provides professional removals in Bath, Somerset and throughout the South West. We have a wealth of experience in the removal industry and are one of the most highly regarded firms for removals in Bath. Our professional team offers expert advice and moving services to make sure that we cover all aspects of your move. We even provide a Full Quotation to make sure we have everything covered. We are a family run business and have a long history of providing the highest level of care and service in South West England. If you are looking for removals in Bath then we can provide the perfect service to meet your needs. We can provide the perfect home removal service to meet your requirements. Whether you are moving home locally or nationwide, we will make sure that your Bath removal is as stress-free as possible. Our team even has experience in moving people internationally so there really are no boundaries when it comes to our service. With over 60 years of experience in the industry, we are confident of providing a high-quality service to meet your needs. We also listen to your wishes and provide a bespoke removal service that suits your individual requests rather than offering the same removal service to everyone. If you are looking for business removals in Bath then we can provide the perfect service to meet your needs. Our team is experienced in moving businesses of all kinds to new premises and we can help your move go through without a hitch. Moving office spaces is a huge operation and anything that goes wrong can lead to the loss of valuable time. We will make sure that your business removal is stress-free and you don’t suffer any downtime. Our expert team will make sure that we provide a removal service that is individual to your circumstances to ensure that your move is completed without a hitch. We are dedicated to making sure all aspects of your move are covered through our extensive local knowledge of Bath and the South West. We provide a tailored service that is designed to meet your individual requirements. We understand that every move is different. 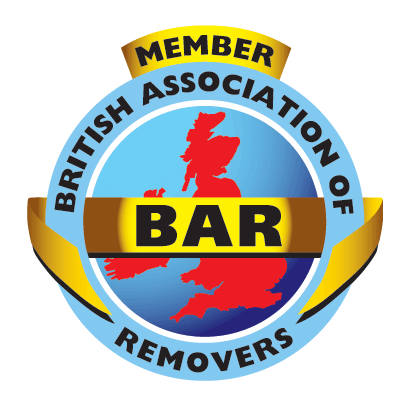 Nightingale Removals are also a member of the British Association of Removers If you are relocating to Bath then make sure you get in touch with us for advice on services in the local area. We also have a great deal of experience moving people to destinations all over the UK, so get in touch with us today. We are centrally located in Bath and easy to reach. If you are travelling from Bath Spa station, head west towards Brunel Square on the A3039 and follow onto Broad Quay, A367 along the River Avon. Continue to follow the A367 onto Chapel Row, which then becomes Queens Square. You can also find parking at Broad Street Car Park, which is just two roads away from Queens Square.